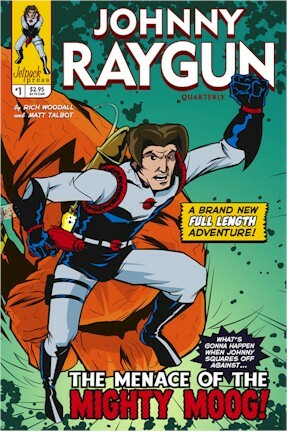 Johnny Raygun Quarterly #1 - The debut of Johnny's ongoing series don't miss this collector's item classic. This cover has a print run of only 2500 copies so you best order a dozen or so. only 2.95 each - Wotta bargain! super-futuristic poly-sleeve and a strengthening insert. for only $4.95 you can sacrifice this as you like. 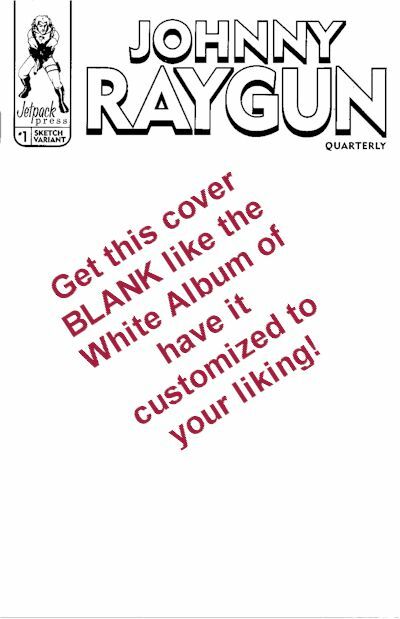 Commission your own original art cover - Matt and Rich will customize a copy of JRQ#1 The White Album, just for you. Single character of your choice only $14.95 - be sure to email us whom you want us to pencil and ink! Two characters of your choice only $24.95 - Don't forget to email us the details! 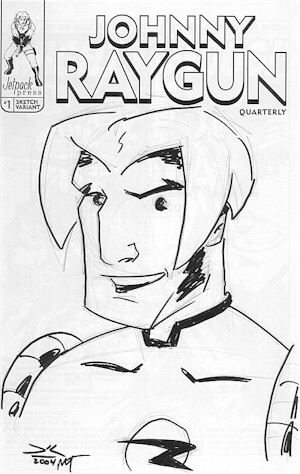 Johnny Raygun Quarterly #1 RETAILERS VARIANT SKETCH COVER - Originally offered to retailers as a variant incentive cover, this rare limited edition, ORIGINAL ART cover is now available to everyone. For a VERY low price you will own an original Rich Woodall pencil with Matt Talbot inks. Less than 500 of these special covers exist and, while all feature Johnny, no two are exactly the same. Our supply is running low! only $8.95 each for a piece of original art that adorns a comic book. Who could ask for more? 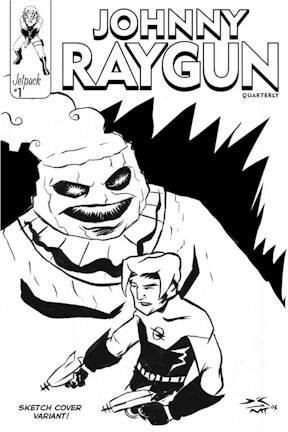 Johnny Raygun Quarterly #1 S/N Original Art Cover - This is a one of a kind sensation. Only 150 of these will ever exist. A real piece of hand drawn, hand inked original art as only Rich Woodall and Matt Talbot can team together and produce. Signed and numbered by Team Raygun this will also include a signed copy of both the Johnny Raygun S.E. 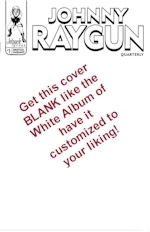 and the regular cover of Johnny Raygun Quarterly. Note that image shown may not match what you get - they're literally one of a kind and we're running out of them!